Who chooses the services of LF24 is not only choosing a design and a unique style made to last. 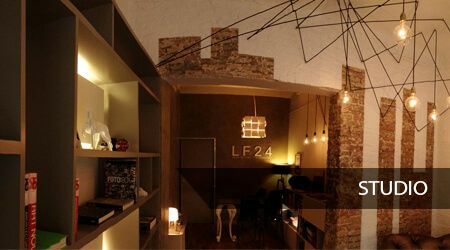 In LF24 we offer all kind of answers to guide, bring forward and to assure the best solution for any project: architecture, interior design, decoration, rehabilitation, refurbishment, direction and execution of work and any kind of renovation. Our goal is the complete satisfaction of our clients embodying their philosophy of life, with the guarantee of the best quality to fulfil their requirements and needs. All services contracted and signed by our studio are made to last over the years and have the maximum guarantee after delivery. Tell us your idea. We will be glad to make it real. ARCHITECTURE PROJECTS: Our Team of professionals works from the first sketch until the delivery of the keys of the finished work, to offer our clients the best solution to their needs, both aesthetic and functional, in a personal way and fulfilling the set goals. In our Architecture Study we develop, with the help of exterior collaborators all phases of the project whether it is residential, corporate or commercial. 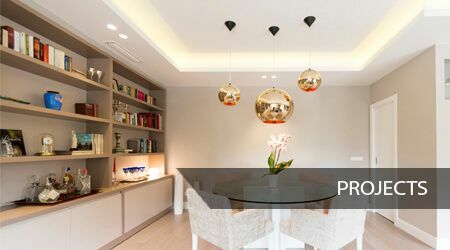 INTERIOR DESIGN PROJECTS: After a first meeting with the client and once set out the goals, aesthetic guidelines and type of project, our interior design studio gives a creative proposal that will adapt to the needs and style of our clients through the transformation and interpretation of the existing spaces. The interior design project will be carried out by selecting decoration materials coherent with the identity of the client. We count with a team of professionals that care about every detail and the quality of the finishes, using the best national and international interior design brands. The result is a unique design of high quality that will satisfy all our clients. DECORATION: Thanks to our interior designer team we are able to give a new image to any space without changes in distribution. 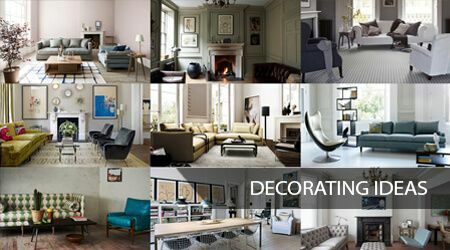 Our decoration services are practical and fast as it enables to change the look of an area without mayor works. We look out for the best solution and we adapt to the style and budget of our clients, giving always the best quality versus price using the best design brands. Our clients can commission the decoration of the living room or the entire house, office or commercial space. 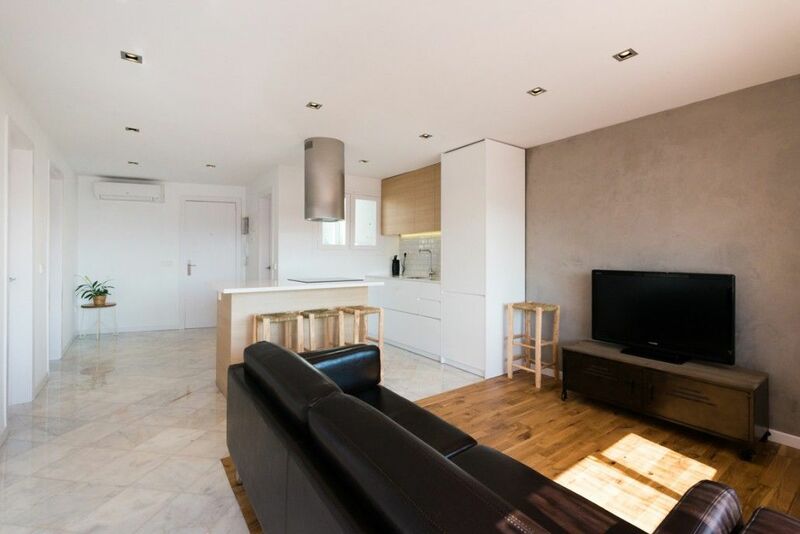 The relooking service allows to change completely the spaces of a house if the client is looking to accommodate his property to ease its sale or rental. We also offer Home Staging services to refurbish all the spaces temporarily until the property is sold. REFORMS, REHABILITATION AND RESTORATION: We coordinate all the aspects of the reform and rehabilitation process from the start until its complete fulfilment. We are responsible of the directing of the works for every project from the initial phases until its completion. We manage rehabilitations whether it’s a small house or an entire building. Every project is different and we strive to get the lower price, always with the guarantee of the best quality and following the scheduled timings. 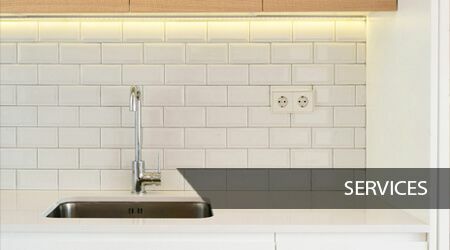 HOME AUTOMATION: We study the needs of each project and we offer the best solution to the client. Our collaborators, experts in home automation, will develop systems that coordinate energy saving, comfort, security, communication and accessibility. With home automation systems, the possibilities are infinite and personalized for each case and need. Thanks to our centralized system with internet connexion, the client will be able to manage from any mobile and from any location, all the functions installed: lights, heating system, alarm, irrigation, door and window opening, etc. This will provide tranquillity even when the client is not at home. PROJECT MANAGEMENT: We develop and optimize every and each phase of the project to achieve all the goals giving a fast and effective response. Thanks to our team of professionals we can develop any type of work facing any limitation that could arise. Each case is a challenge for us and we will face it with motivation and a rigid structure thanks to our technical abilities and strategies personalised for every architecture project, interior design, decoration, reform etc. We manage the process evaluating at each moment the costs, the quality and the deadlines. “To take care of the DETAILS is of our philosophy to get the best result in every interior design” project”. We dedicate our efforts to understand the needs of our clients and to make them come true.